June 14: 5 POWER Lessons From 5 Leaders Who Made History On This DAY! We all want to achieve and dream to become achievers. But, there are predefined stereotypes that demand us to step back whenever we think of starting our journey towards success. Here are some of the leaders' journeys which broke such stereotypes leading to awe inspiring journeys. Read on! You can never move ahead in your journey of life unless you release all the dirt, hatred, anger, intolerance, blame, ego and many other things which pollute the essence of succeeding mind. You got to delete worries, grief and hard feelings from your heart and add love, positivism, energy, spirit, happiness and joy. Never let anyone and anything pollute the path which takes you your destiny. It is your responsibility to sweep away all that contaminates and destroys the aroma of your journey. Weeds also have life, but if the farmer doesn’t kill them, healthy fruits cannot be reaped. The same is your life! You are the farmer of your life to kill the weeds of negativity and pessimism in order to reap success. Jane Bathori focused on filling in positivity rather than vibes which would retard her growth. A mind which wants to create a change, which is constructive and progressive, certainly has to be pure and innocent in terms of enthusiasm and spirit. The French mezzo-soprano ruled the operatic stage. She was instrumental in developing the contemporary French music. Planning a career which she wanted to rock, she made space for success to decorate her life by flushing out the negatives from her mind. She started by learning the piano and eventually made a decision to become a concert pianist. Elevating her career, she leant singing and earned proficiency in it. Suppose you have a bag with you which is full of money. During your walk alone, imagine that your bag is robbed. So now, you are out of cash and you must still continue your walk in the journey of life. You are hungry, thirsty and tired but unfortunately, you can’t buy food, water or even accommodation because to don’t have money to pay. At this point of time, what you generally feel is if you had not lost your money, you would have easily comforted yourself. But, god has bigger plans for you. You walk further and then you see a big, colorful and a luxurious villa, with your best friend standing at its gate. Your friend welcomes you in and offers you all the comforts you dreamt to make your stay, a memorable one. You wake up the next morning and continue your journey with a more refreshing and energetic mind without any regret. It all happened because you lost your cash. Working hard, struggling, suffering and facing challenges were a must for Jacob Ellehammer to achieve success. He had to lose out of comfortable life, ease, pleasures and everything that made a happy life. 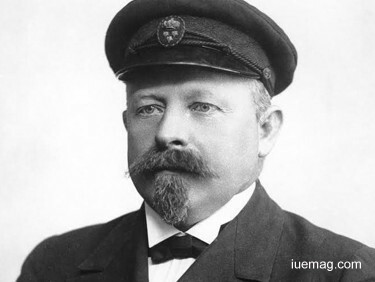 The Danish watchmaker and inventor is remembered for his contributions to powered flight. Earning success was not easy at all. He worked as an electronics mechanic and then founded his own company. He produced cigarette machines, beverage machines and other electronic machinery in the beginning and then he produced his first motorcycle, the Elleham motorcycle which marked his true success. Always remember that, no one is perfect in this world and nothing is perfect in this universe. Just know that there cannot exist a day or a minute which has everything right in it. Rather than worrying and getting frustrated about all that which is not happening according to your plan and wish, you can see what is going right and help improve your attempts. Bringing about a change is not setting things right but recognizing and appreciating what’s right. Personality gets developed when you give importance to and respect all that is favoring your steps which you take towards success. You don’t have to literally waste your time and energy in changing the wrongs to rights. Instead, you can stick onto the rights that are happening and proceed towards your destiny. Sir James Black focused on his goals and dreams which would facilitate victory. Despite being poor, he never stopped him from receiving his education from a university. Not everything in the life of the Scottish pharmacologist was going right. Yet, he concentrated more on walking towards his goals by taking the help from what was right rather setting things right which had no impact on his growth. Establishing a Veterinary Physiology department, he learnt more by creating interest in studying human adrenaline. He was awarded the Nobel Prize for Medicine and studied by winning scholarships as he was from a poor family. You are unique, different and a masterpiece. Always remember that there is no one in the entire world who is same as you. That is the reason why you must not compare yourself with anyone. You may be good at a lot of other things while others may not be good at some other things. The qualities which you have are distinct only to you. You earn them. Just know that your unique characterization is meant to be all yours and only yours. Enjoy your uniqueness, cherish them and make them your tools to carve your life ahead and invite success into it. Feel the goodness in you and celebrate your characterization. 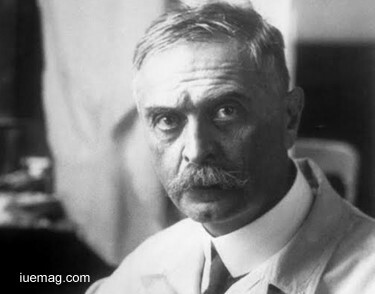 Karl Landsteiner respected his self for what we were. Like his personality, his achievements and way of leading life was also unique. The Austrian biologist, physician and immunologist proved to be different through his distinct and distinguished studies on the main blood groups and developed the modern system of classification of blood groups. He was a reason for many facts and truths to come into light. 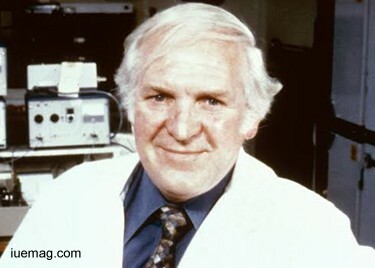 It was due to his new style of thinking and his innovative skills that helped him discover the polio virus. He dealt with life in a very systematic way without giving up when he lost his father; he was only 6 years of age but behaved matured. Only we know what we really want. We dream of them, plan and pray for them. Meanwhile, have you ever sat back and thought about the immense which you already have? God has showered upon us a lot which we haven’t even asked for. It means that we have a special guiding element which knows about us better and also has an idea about what needs to be given when and how. Respect what we already have, value its goodness and use it for bettering our lives. Moving every step towards success is certainly easier when you use what is already with you rather than worrying about what is not there. You definitely need to pray, wish, dream and make sure you get what you want. In fact, that is what life all about is. But, looking at all the blessings which you’ve got without even asking for is equally or more important. 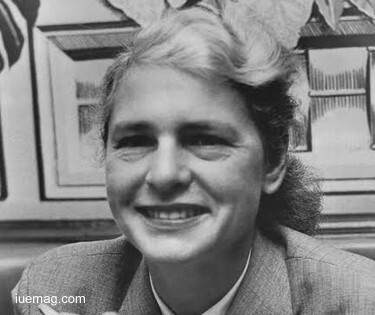 Margaret Bourke-White was determined enough to grasp and identify all that she was already showered upon. She never wasted her life counting the blessing and seeing what was not given to her. Instead, she focused what better can be done by using all that she already had. 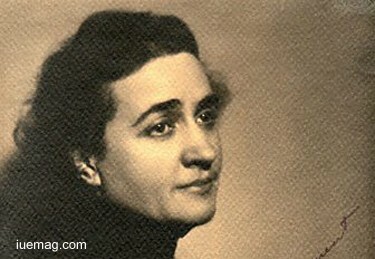 She was the first American female war photojournalist. She never had the quality of perfectionism in her. But, she acquired this precious attribute by extracting it from her father, an engineer and inventor. These 5 life changing energy pills are always there to motivate you, energize you and push you towards achieving what you want to. Whenever you feel low, don’t forget to use these pills of inspiration and move ahead in life. Any facts, figures or references stated here are made by the author & don't reflect the endorsement of iU at all times unless otherwise drafted by official staff at iU. This article was first published here on 14th June 2017.